Car racing is amazingly spectacular event with indescribable impressions and emotions that can be added even to Christmas with NASCAR gifts for Christmas. This large collection, presented in the Collectibles of the Game store, includes a variety of adornments for the house, stockings for decorating the fireplace, toys and NASCAR Christmas tree ornaments. In addition, there are also Santa Claus hats, so that you can also be in the role of real magician, giving gifts to friends and relatives. 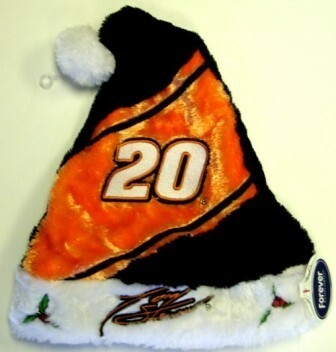 Christmas evening will no longer be a standard predictable celebration if you purchase NASCAR Christmas decorations. Such original items by top brands will provide an explosion of positive emotions for all celebrating this holiday, and impressions will remain in your memory for a long time. Arrange your own fantastic party, which will perfectly combine the Christmas traditions, as well as the sports spirit of real fans. Whatever you are looking for, here you will find everything you need for an excellent celebration.